If you want to learn about a mysterious and liberal land by the characteristics of life that are surrounded by mountains - Central Highlands, this is the best Easy Rider Trip you should choose. The tour covered the Da Lat city - a foggy city, nestled under the vast pine forests; A sunny and windy, brutal Dak Lak but equally mysterious and strange; a pristine Dak Nong with spectacular waterfall, poetic beauty; A Gia Lai with the bright yellow flower of the wild sunflowers and a Kon Tum filled journeys of historical significance. 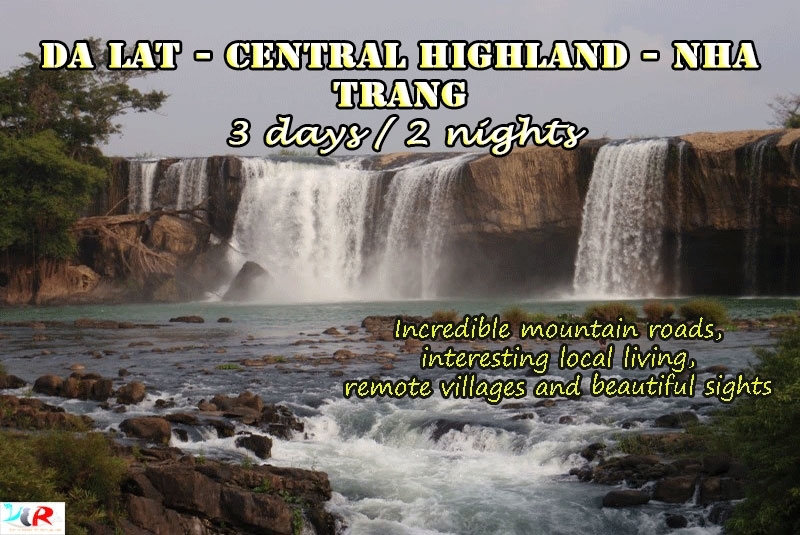 Central Highlands will certainly give you a quick overview of a country with many ethnic brethren living with diverse cultures, as well as what they went through in the war to have a life as today. 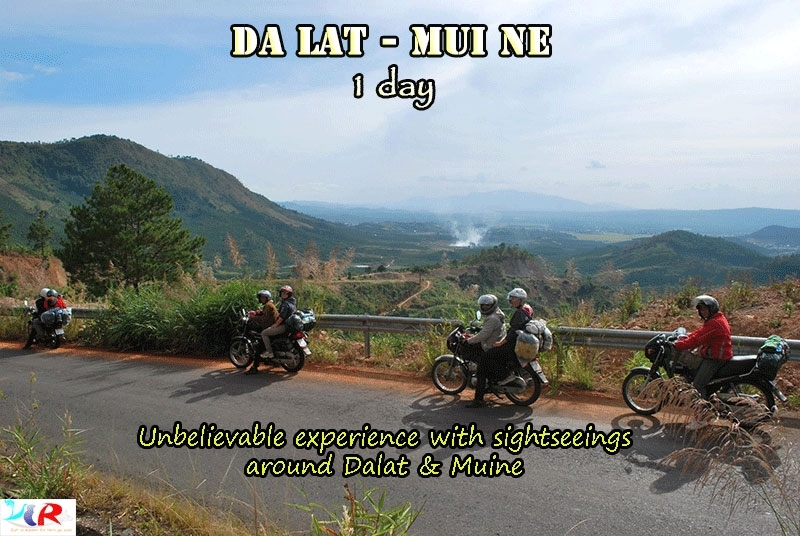 The Motorbike trip from Da Lat to Hoi An make sure will bring you memorable experiences about the landscape, lifestyle and history lessons in the 2 fierce wars. Finish the tour you will be in an ancient city - Hoi An that has been recognized by UNESCO as a world cultural heritage. We will then pass through jungle with many stunning mountainous views, through some small villages, where you will see countless farmers tending crops Vietnamese style! We will then arrive at our overnight homestay or Lak resort - an Ecoresort in Lak. 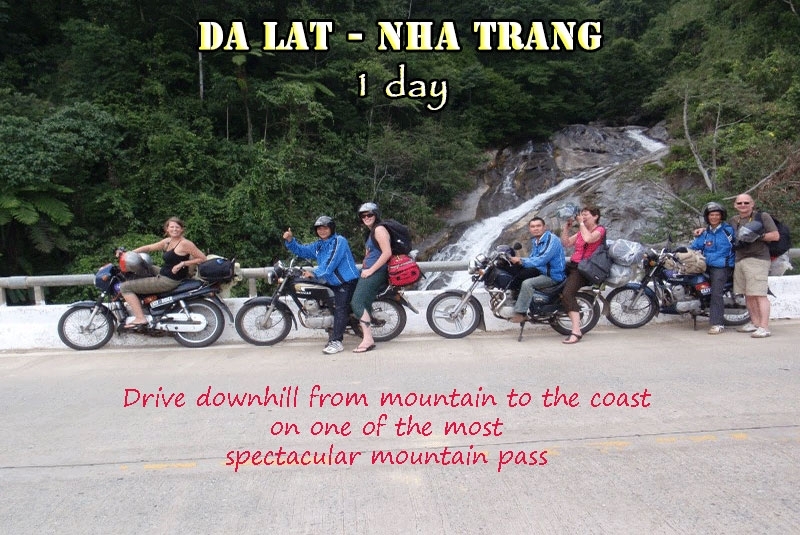 This is the best day of the Motorbike Trip from Da Lat to Nha Trang travel through Central Highland, so don’t miss anything! Another breathtaking ride along the Ho Chi Minh trail awaits us. Leaving Kham Duc for Hoi An after visiting a basket making village, and rice paper making, we’ll move to another small village to make friends with them and see how they make incense, ceramics, chopsticks. Visit a pineapple plantation and enjoy a fresh pineapple. The Route from Da Lat to Hoian could be shortened to 5 days. Please CONTACT US for detailed information!